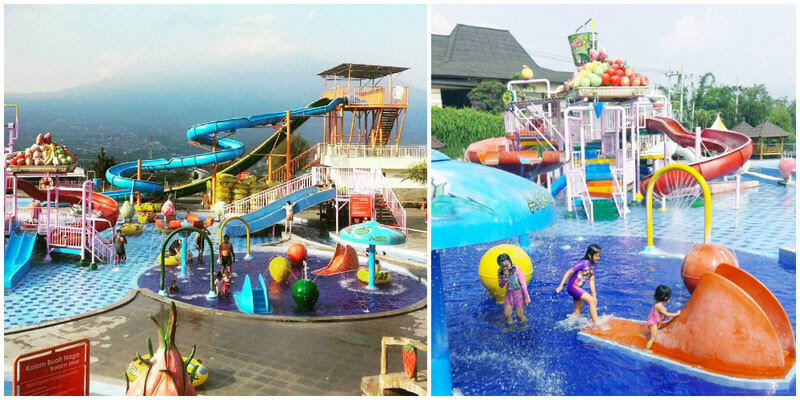 Welcome to Indonesia’s apple city, Malang. No, Malang isn’t flooded with iPhone users. Apples are locally grown here! 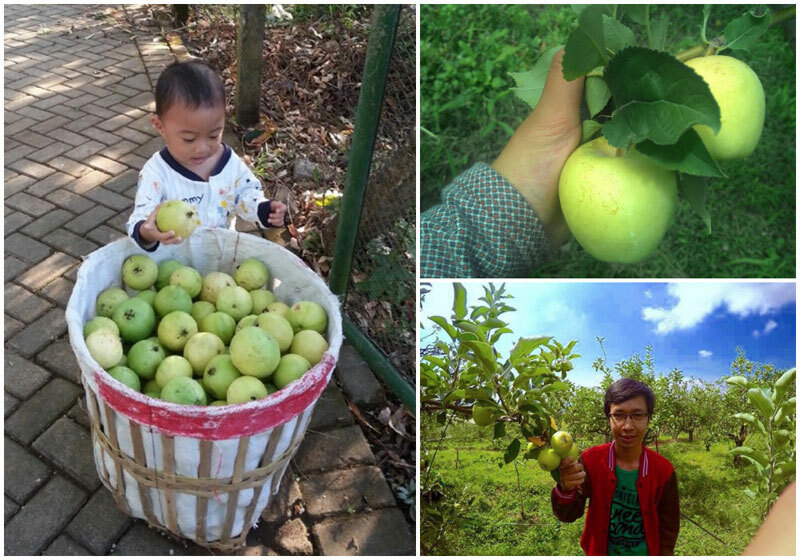 It’s not typical for a Southeast Asian country to be growing apples, which is why Malang is one of the greenest, most chill (literally and figuratively) cities in the country. 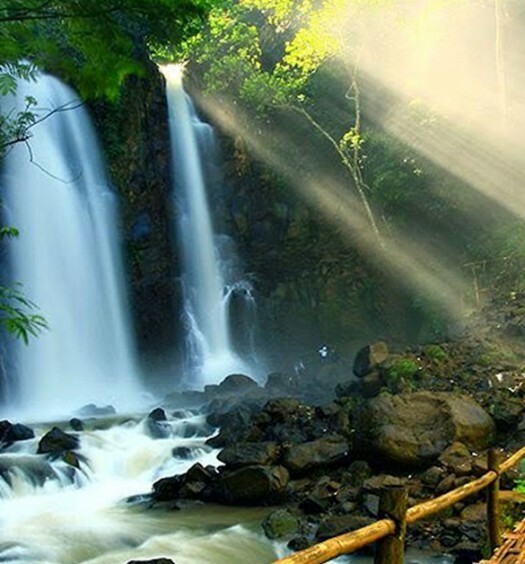 Not to mention the beach destinations, parks, and waterfalls you can visit whilst in Malang. So spend your money on these numerous activities because you can scrimp on your accommodation with these 9 affordable but unique hotels under $40. You are still in Malang, Indonesia. You have not traveled back in time to the majestic Roman empire. You are not in Italy. 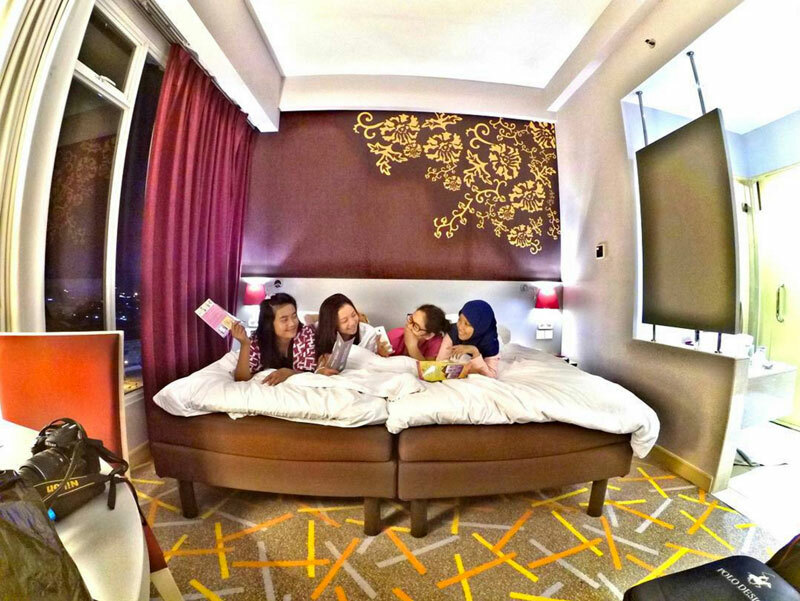 You do, however, feel like you are the moment you arrive in Gajahmada Graha Hotel. 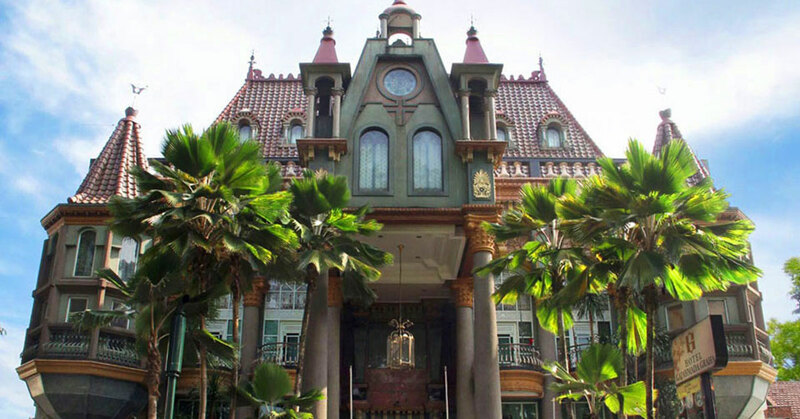 It might take you a while to enter the building, as you stand before a picturesque facade that resembles nothing in Malang. The Roman architecture is made more evident by the statues and paintings that you can see all throughout the hotel. And what else shouts Rome, more than the famous columns? Gajahmada Graha Hotel ain’t short of these either! After a long day of apple picking and sunbathing, you would definitely want a hot tub bath. And thankfully, you’ll get just that since a private bath is included in this affordable price! With the elegant decor of your room plus the awesome bath amenities, nothing can beat this. 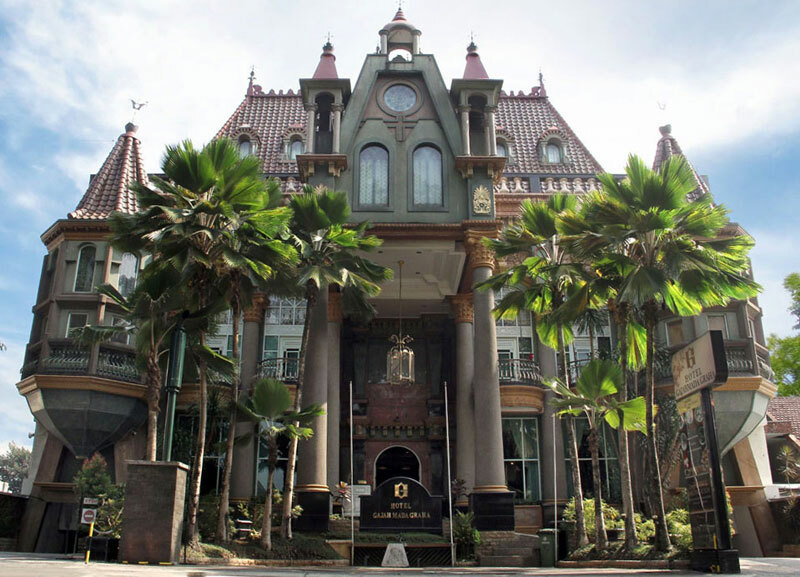 Gajahmada Graha Hotel is also a popular destination for weddings. And why won’t it be? When you hear of a property that’s eco-friendly, you won’t really expect the place to be look grand. Especially if they are reusing reclaimed timber from old Java teak wooden houses. 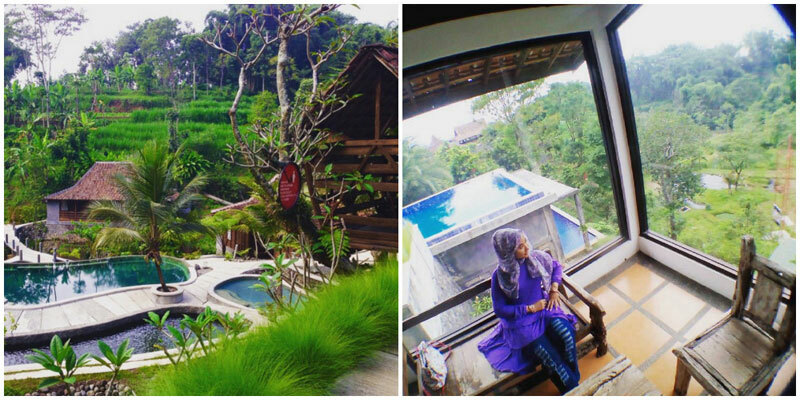 However, lo and behold, a stay at Kampung Lumbung is just like traveling back in time. 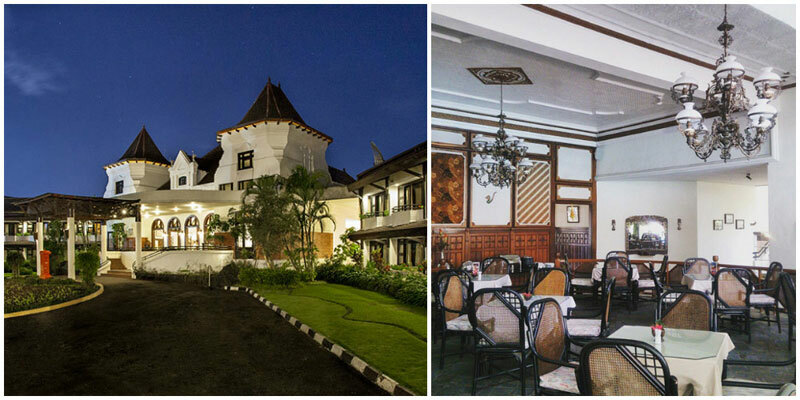 The property has managed to preserve East Java Kampong architecture. True to their eco-friendly vibes, they have their own garden aka mini-forest too. There, the endangered plant species that they grow in their own backyard are properly labeled. Talk about love for mother earth. 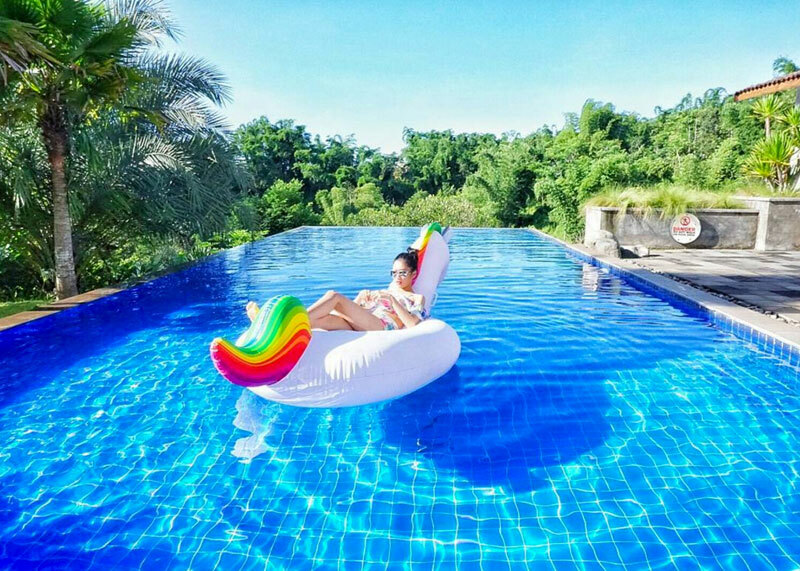 Relaxing in their pool is like no other. Why? Though built like a modern pool, the water used is actually spring water! 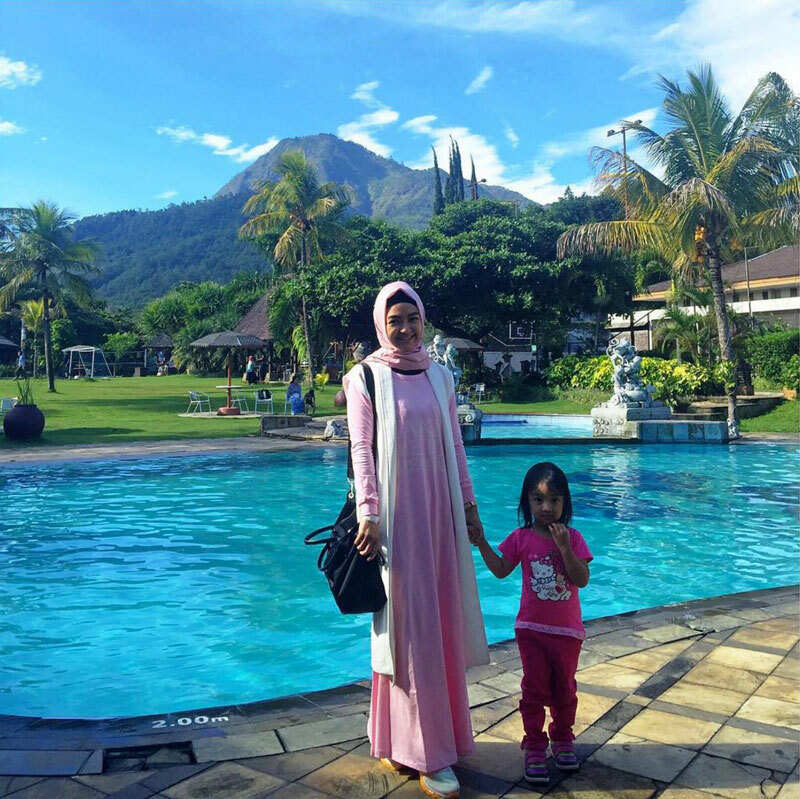 The biggest attraction of Omah Kayu has to be the stunning views in the morning and evening. This is where inspiration will hit you. 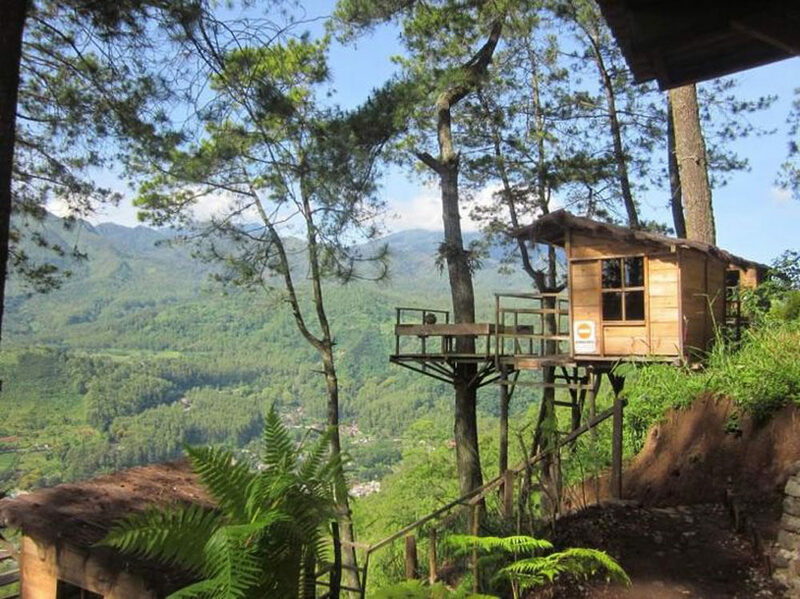 Located at Kota Batu Malang, a beautiful hill top 1,340 metres above sea level, the air is clean and fresh, and the weather isn’t as humid as in the city. 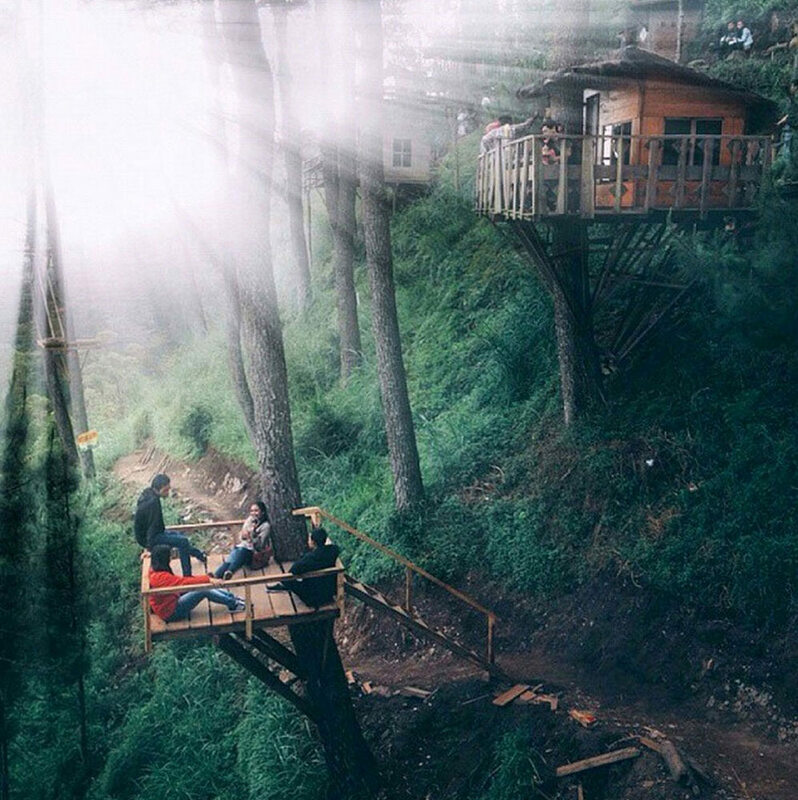 There are six treehouses, and each has the capacity to comfortably sleep three people – perfect for small families and gatherings with friends. 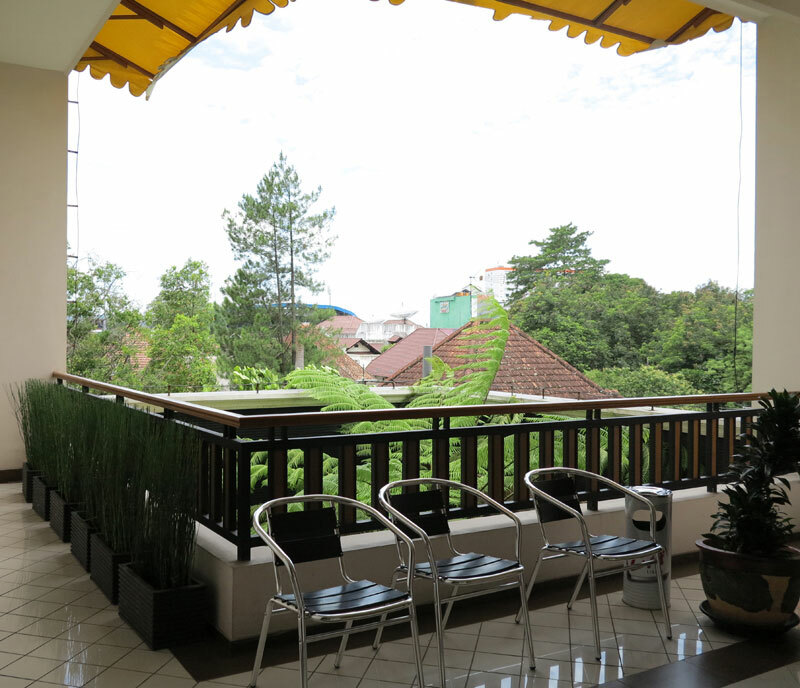 You can sit on the wooden chair by the balcony and gaze at the wonders of the natural world all day. You’ll have one bed, a thin but comfy blanket and tableware in case you need it. The two bathrooms are outdoors (not in the room), and equipped with hot water. The place serves a simple breakfast too if you want. 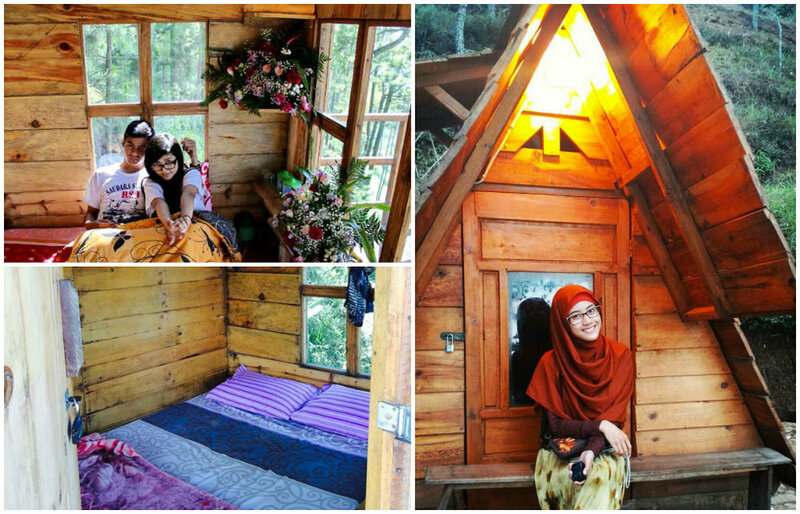 This hideaway is pretty far from the busy streets of downtown Malang and Batu (estimatedly 25 km away), but it is situated near Hill Para, a beautiful location for a hike. 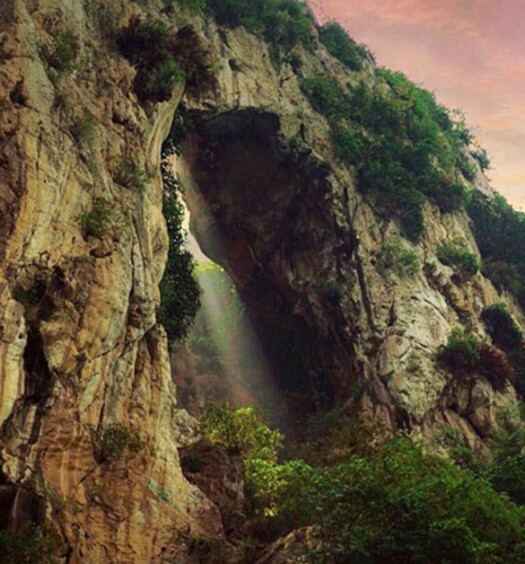 You might also get a great view of Batu town while you’re there. 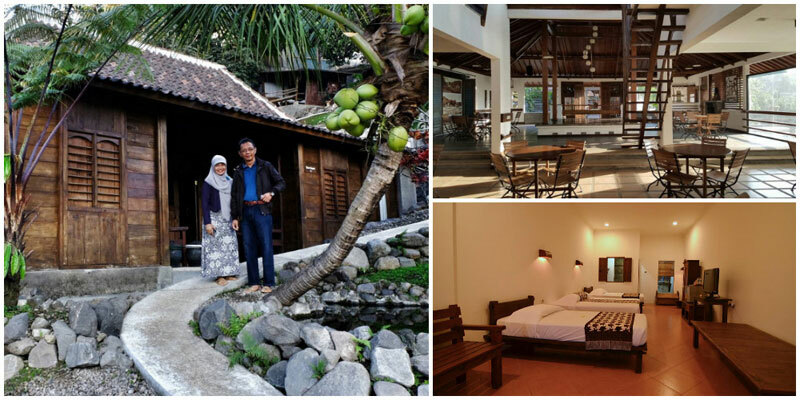 Omah Kayu is relatively new, having opened their doors early February 2014, so rest assured that nothing is rundown. 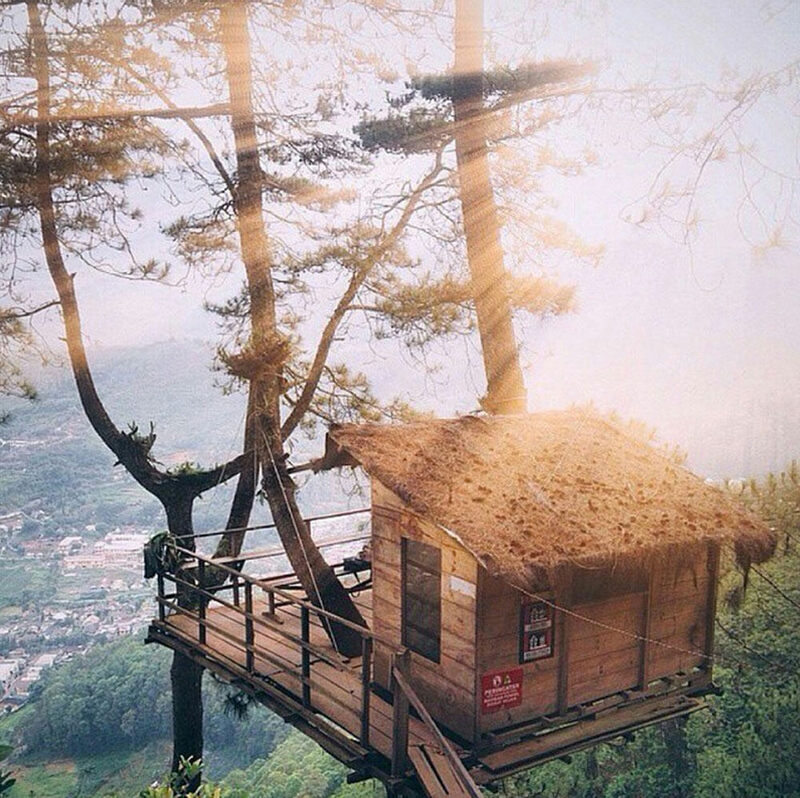 Good fencing makes this treehouse secure, and the walls are made of pine wood, an incredibly durable wood. The roof is made of palm fiber which allows you to be as close to nature as possible. When rain hits this roof, it’s music! 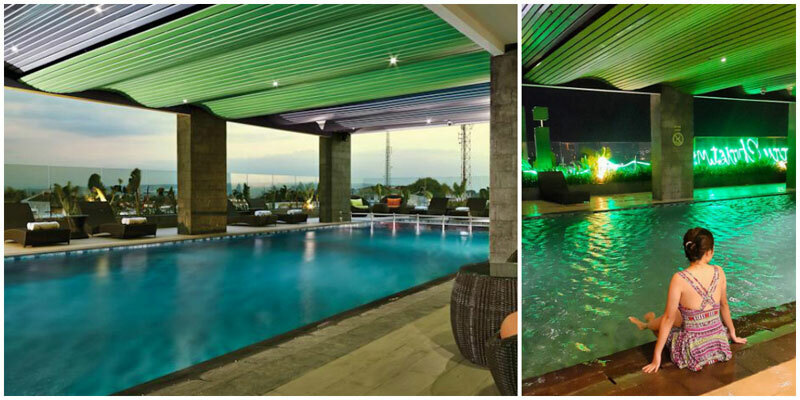 A hotel that has a rooftop swimming pool with majestic views, and a bar in the same space. And they even have a spa! Also, if you’re here for a business trip, they have meeting rooms as well. At the price you’re paying, this seems almost unbelievable right?! 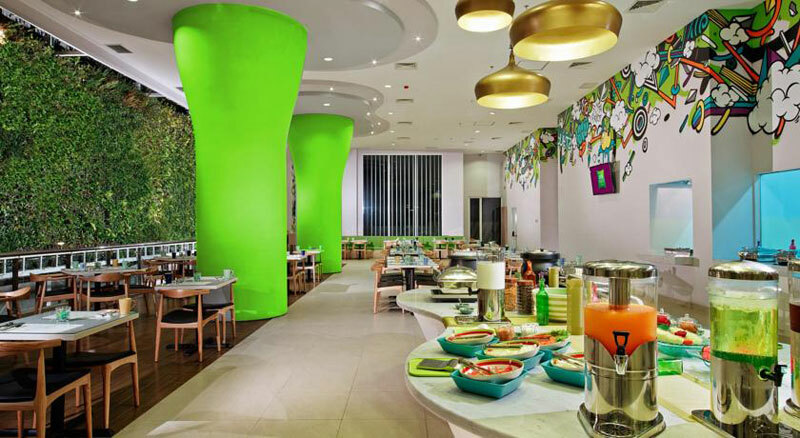 A wall of greenery greets you once you step inside MaxOne Hotel. The reception area has a backdrop that looks like the lush greenery of the Amazon forest. You’ll also find lots of hanging plants scattered throughout the hotel, especially in the restaurant and the lobby. 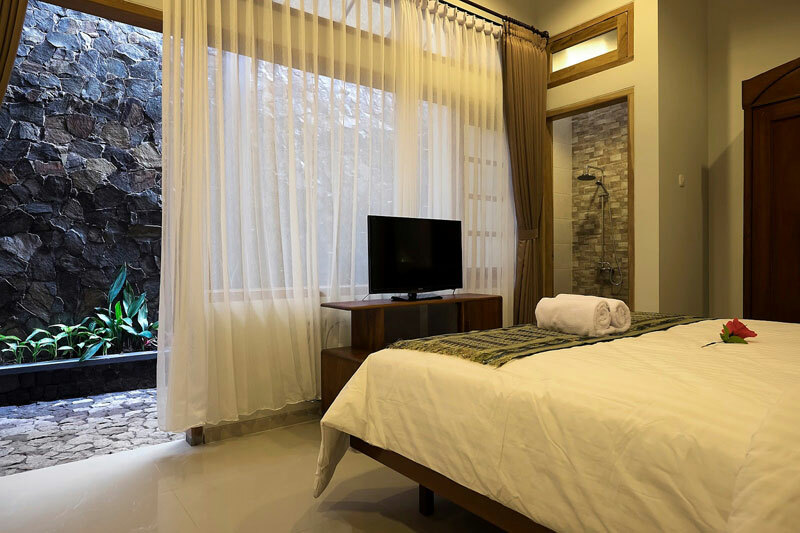 Being true to the nature theme of the hotel, you will find that the hanger area in your room is set against a wooden tree backdrop – along with the leaf designs on the wall, and green flip flops. To contrast the nature feel, there are wall paintings everywhere that resemble graffiti art. In fact, a great indication that you’ve reached the facade of MaxOne Hotel is the colorful almost building sized artwork resembling a cute lion. 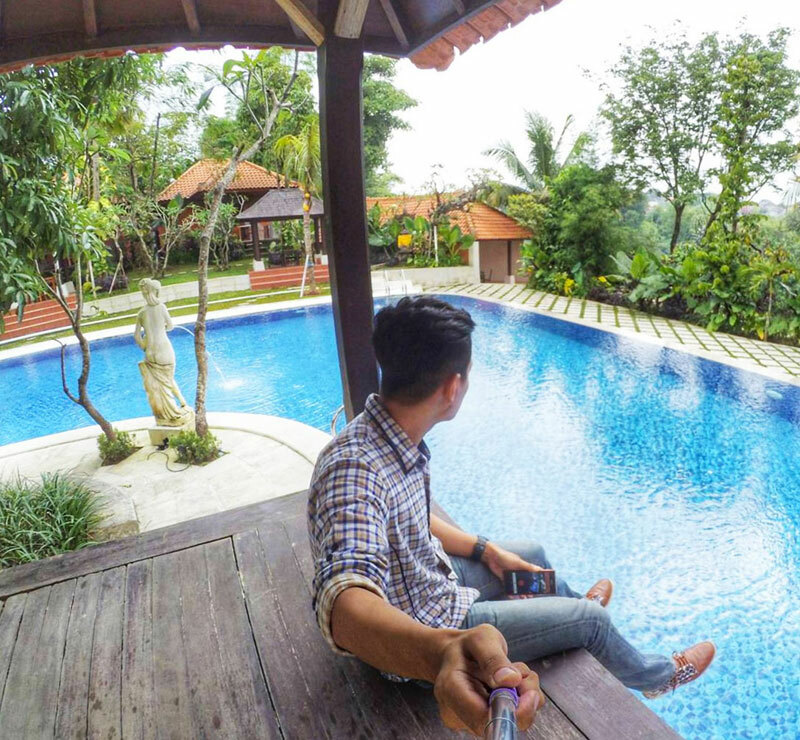 Don’t be confused but Ubud Cottages in Malang will really make you feel like you’re in Bali. 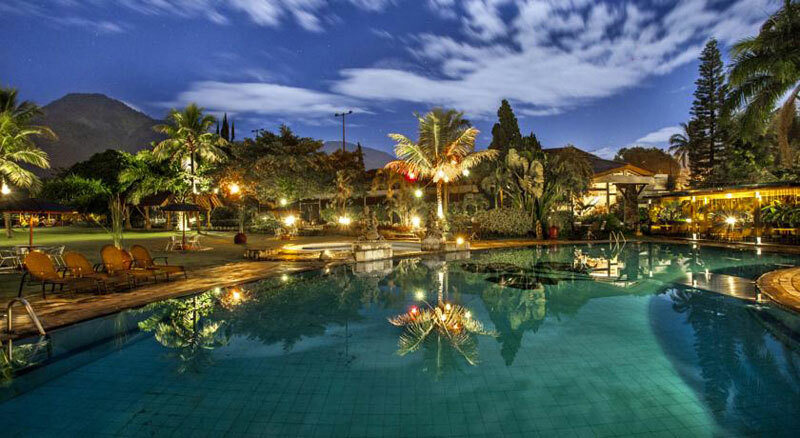 From the facade of the hotel, the swimming pool area details, the four poster bed, and the uniquely carved doors of the cottages, to name a few – you’d question yourself if you’re still in Malang. The cottages are named after different puppets in Balinese puppet shows. And each room and cottage have different themes to suit different tastes. 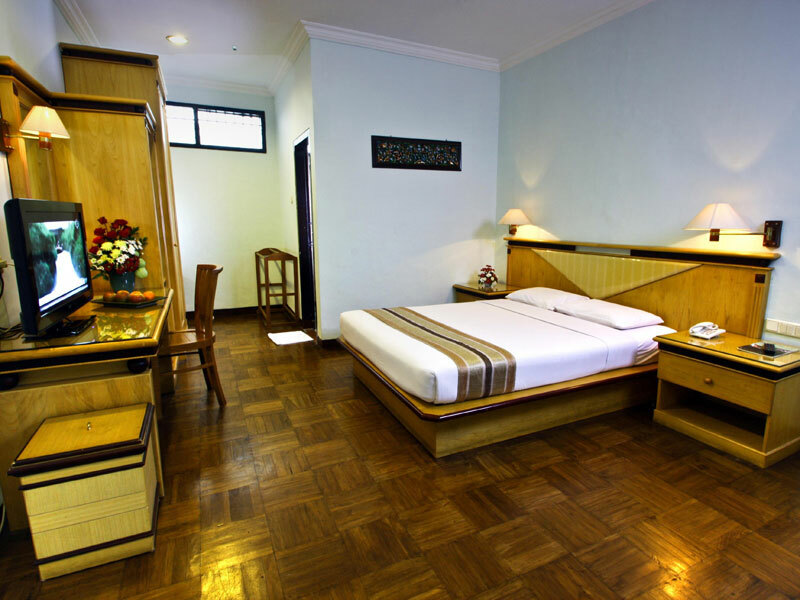 For example, the Sadewa cottage has a terrace and direct pool access. While the Bima cottage is designed for honeymooners with a four poster bed and of course, privacy. How cool is that? 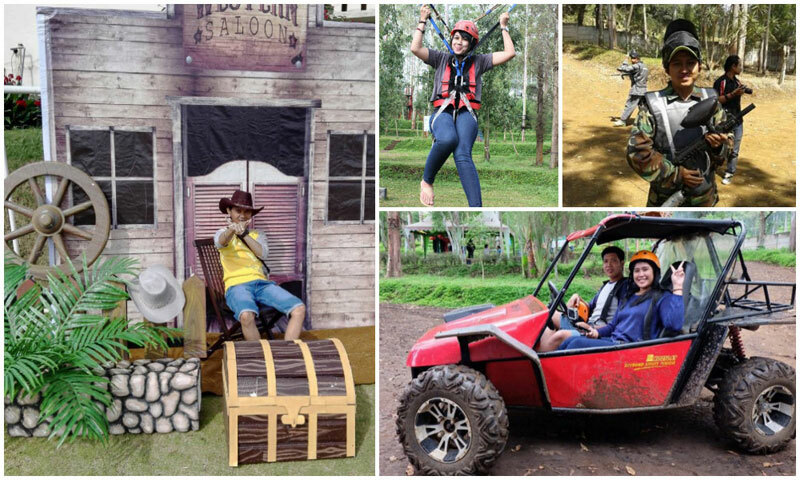 We know there are so many exciting things to do around Malang. 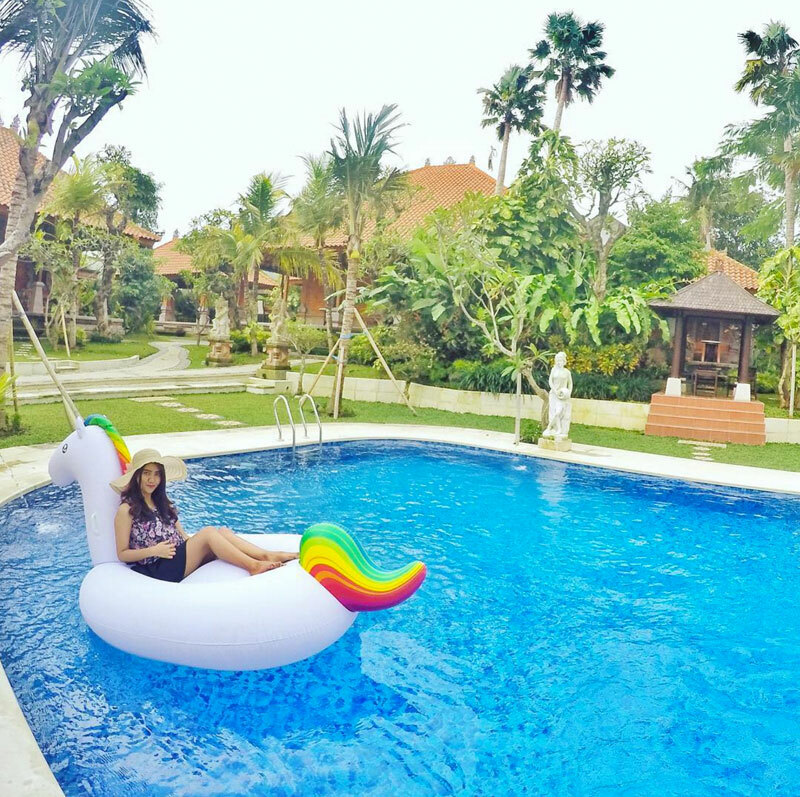 But hey, when you get tired from traveling to and from your hotel, the double pool and surrounding tropical garden will make you want to lay down on a lounge chair and chill. You have to make sure you reserve at least half a day to explore the hotel and take Instagram-worthy photos. There are a lot of details to see and discover all throughout the property so enjoy! 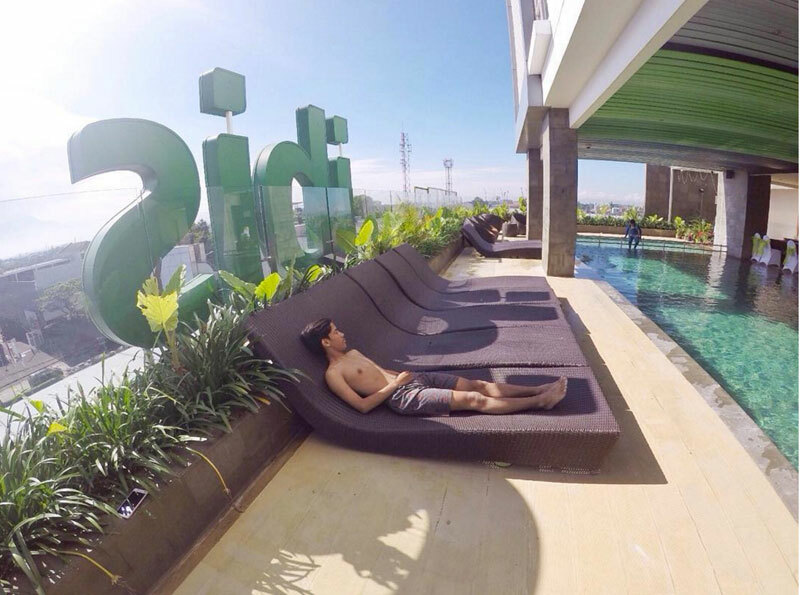 An outdoor pool and a fitness centre are all you need, to keep fit while staying in Ibis Styles Malang. 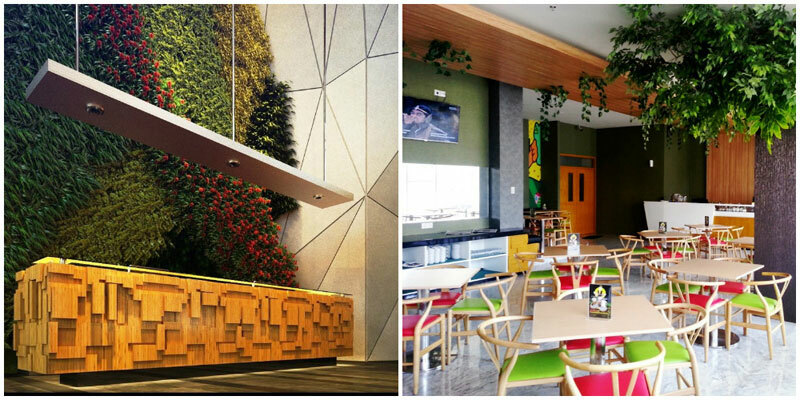 There’s also a lush green wall in the restaurant where you can spend moments staring at to calm your eyes, while enjoying a hearty breakfast. Sometimes, less is more. 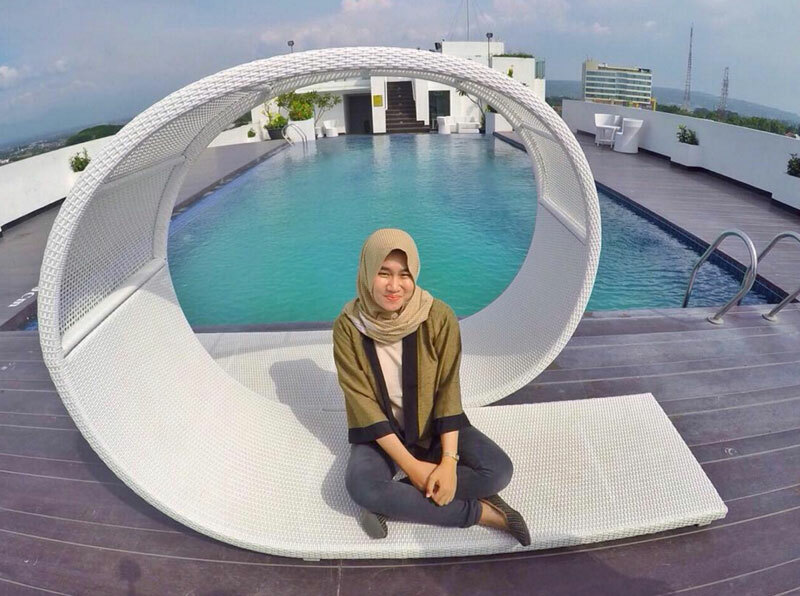 And the concept that prevails throughout Ibis Styles Malang is exactly this. No frills, no fuss. A comfortable bed, a shower and toilet, a place to put your luggage, and a wee bit of entertainment. What more can you ask for? 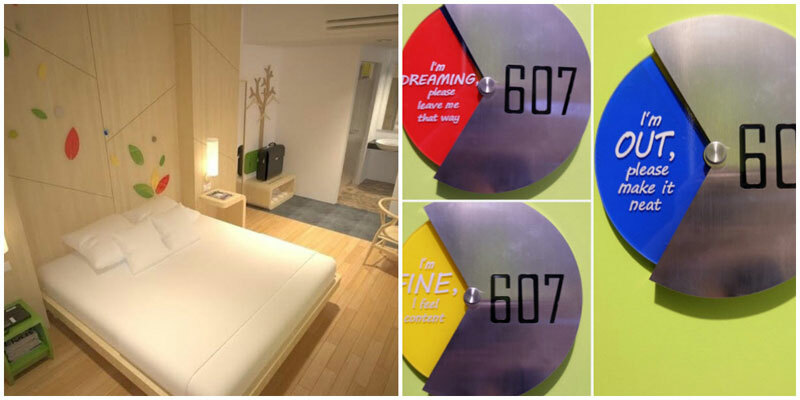 Though minimalistic in design, you can be soothed by the quirky wall art and decoration of Ibis Styles Malang. From their reception area that looks like it must be from the future and wall designs that resemble an art school – your eyes will never be bored from all that color, it can even be therapeutic! Once inside Helena Guest House, you might find yourself fleeting from one painting to another. These mesmerising works of art can be found at the entrance of the hotel, the corridors, and in the dining hall. 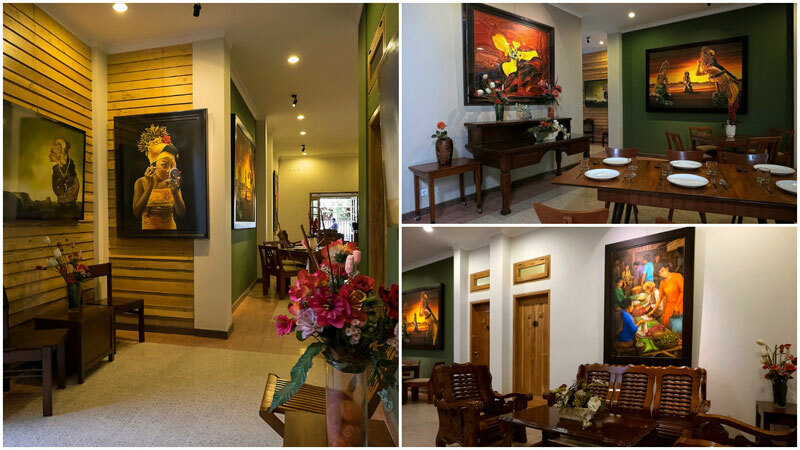 Not only will you be staring at the awesome paintings, but you will find your hand gliding across the wooden furniture used throughout the hotel. You might be helping the world a little bit when you shower under a sunlit roof! No need to turn on the lights – there is just something spectacular with natural light pouring in while you’re showering. Privacy while enjoying the cool breeze and sunshine is something that you won’t expect from this price point. But lo and behold. 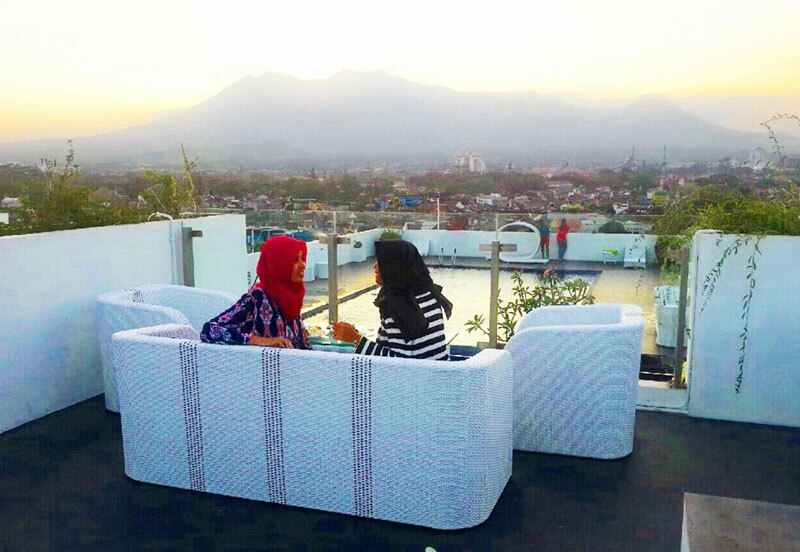 Some rooms in Helena Guest House have private terraces where you can enjoy some drinks, and talk about today’s events with your travel buddies. Don’t be misled by the name. 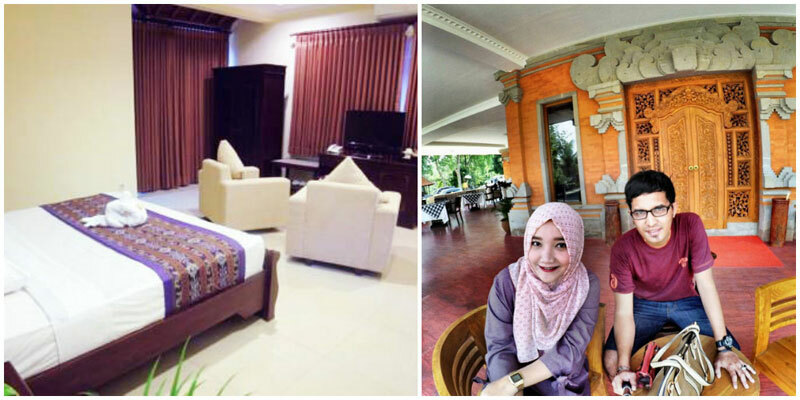 Staying in Kertanegara Premium Guest House is like staying in a 4-star hotel. Staff, location, facilities, room size – these are just a few of the things that are being praised numerously. 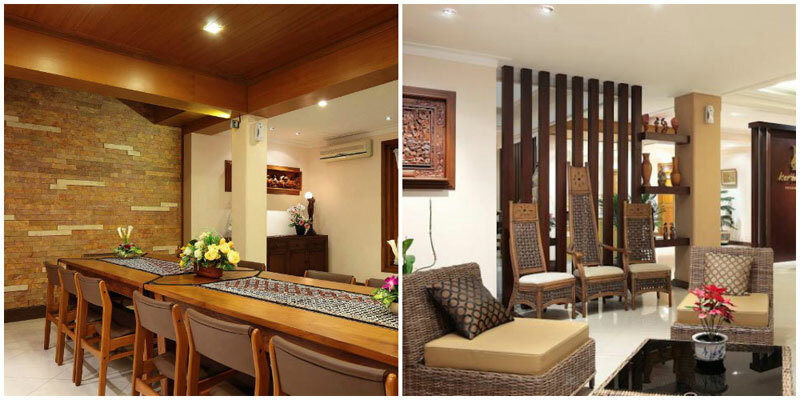 The fusion of modern decor with a hint of Javanese is what makes this guest house stand out. 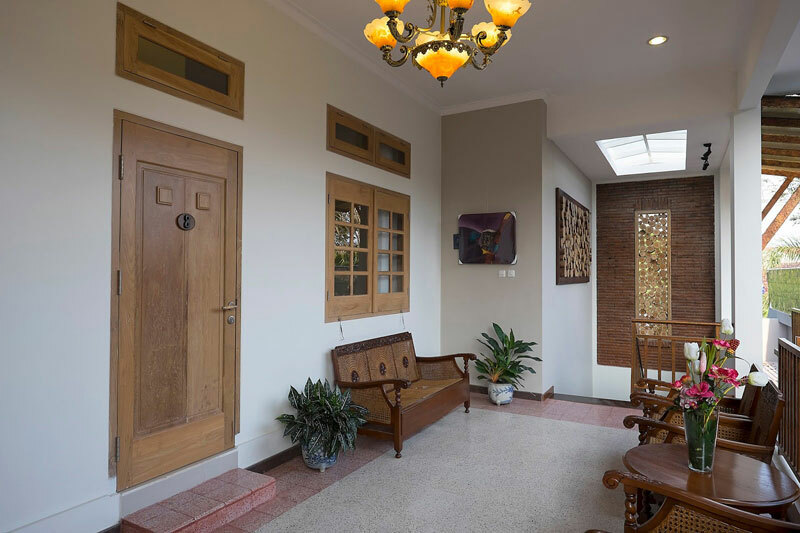 From the building’s facade, you will be welcomed by a mighty three-storey building with windows that are typically Javanese. The reception area itself is furnished with traditional looking lounge chairs and tables, but when you enter the rooms, it’s a totally different story. 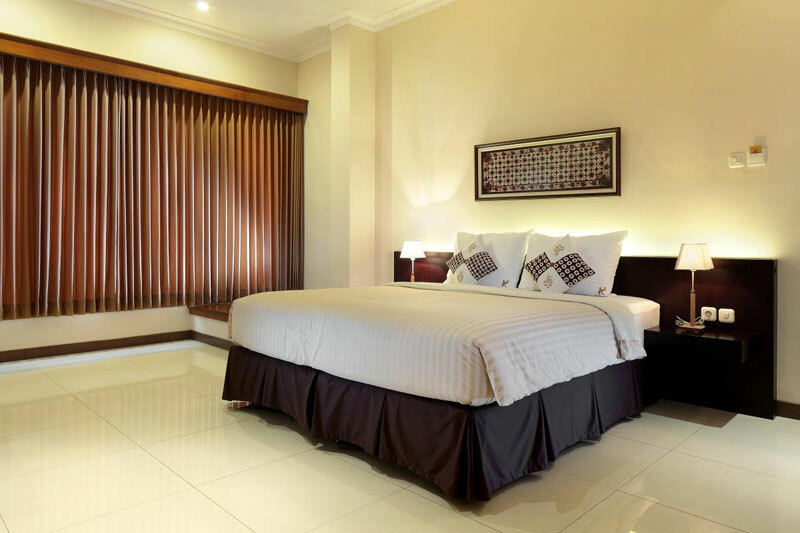 For the price that you pay, while you won’t be enjoying 4-star level of luxury, you’ll still get to enjoy all the amenities of a decent hotel room in the rooms at Kertanegara. 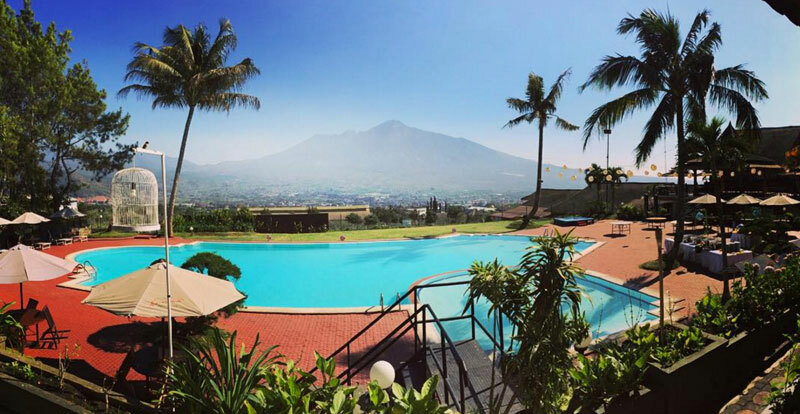 And as long as you request for a tour to anywhere in Malang, they can arrange it for you. They can even suggest places to visit, and drive you around in their private cars or even with available local transportation. 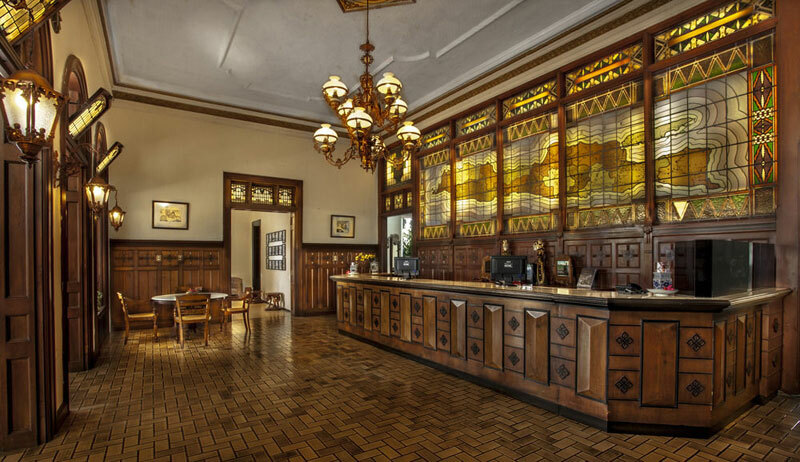 If a property is named as a heritage hotel, you’d expect a grand and lavish facade, not to mention a reception that will give you the wow factor. 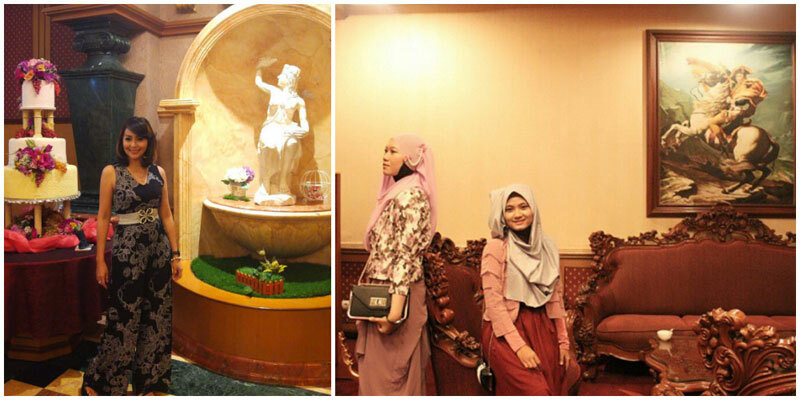 Well, Kartika Wijaya Batu Heritage Hotel does not come short. 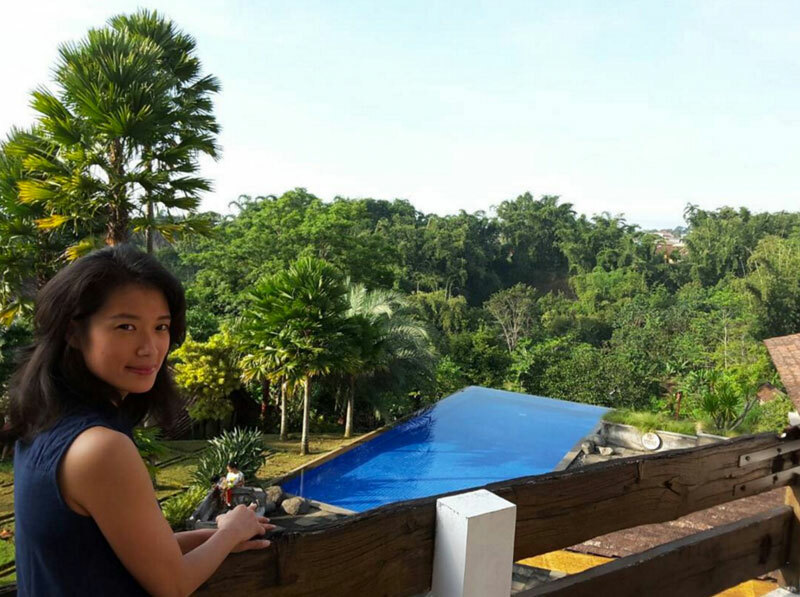 Not only is the Dutch colonial design a huge wow factor, you’d be able to take advantage of their numerous facilities such as the pool with a view of the mountains, a basketball and a volleyball court for the sporty individuals. Oh, and they have a jogging track in case you’re in the mood for a run too! If you don’t like getting under the sun but still feel the need to do some recreational activities, there’s a table tennis area and karaoke bar for you. We know not everyone feels sporty at all times, so go ahead and take a book from their massive collection, if an afternoon of reading is what you delight. Traveling with the little ones? You’ll be glad to know that there’s a small play area that can help to keep them preoccupied – as you sip on that cold smoothie to soothe you from the day’s outdoor activities. 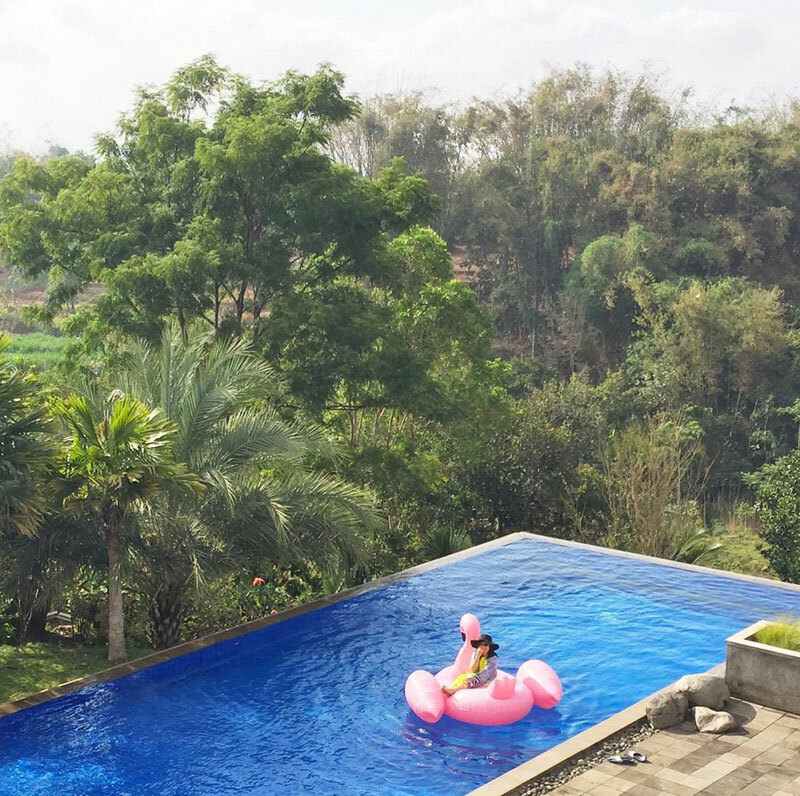 So pack your bags and get ready to enjoy an affordable getaway to Malang – without having to spend hundreds of dollars but experience the comfort just the same. The temperatures are cool, the air is fresh, and you’ll have a lot of available outdoor activities to choose from. 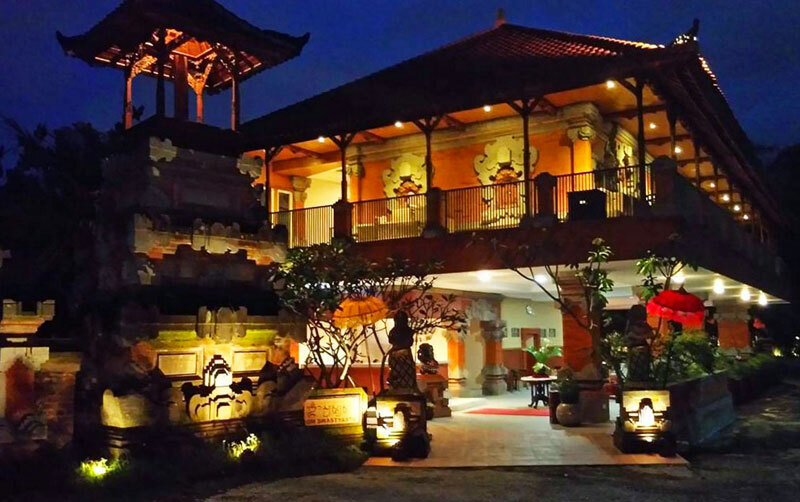 Are there any great budget hotels in Malang we have missed? Comment below to let us know!